The CQWW CW results has been published almost three weeks ago and I needed a few time to decide to publish this open letter to the CQWW Contest Committee just during the Dayton Hamvention 2017. I think that the Contest Community has to consider the points that I analyzed below. In the last two years I participated in almost all contests, to achieve the best possible result to participate in the WRTC 2018 after almost 30 years of contesting. Thanks to this hard activity and a lot of sacrifices, finally in September 2016 I was mathematically qualified as a Team Leader in AS # 5. Then to have some fun and to activate a very rare country on CW without any pressure to achieve an important result, I asked to some old friends to visit me in Asia and to activate Macao XX9 after 23 years from last “Multi “participation in the CQWW CW dated 1993. Everything was nice; great fun and great pileup, 24 hours a day, during our short 8 days dxpedition. During the CQWW CW we decided for the entry in the Multi Two category, even if we were just 4 operators. It has been the right choice to permit to everybody to operate and to have a short rest, giving at thousand of stations the possibility to contact this rare country on CW. But the worst thing had to be happens. 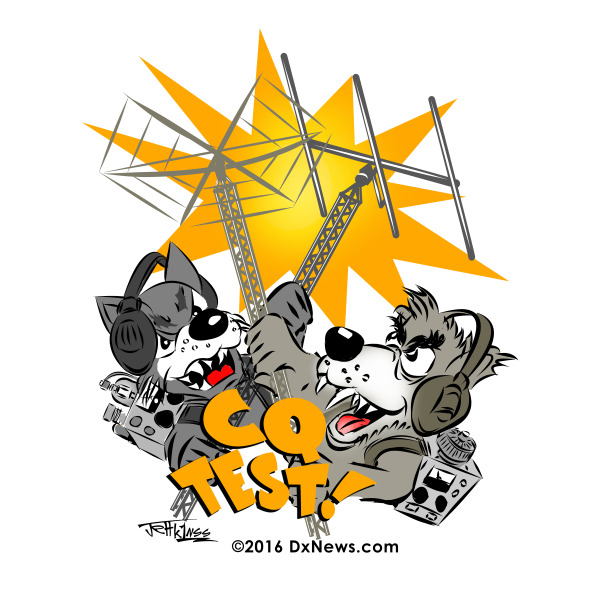 In mid March I received an email from the CQWW Contest Committee where they informed me that our station XX9TXN was Disqualified for self spotting. Of course in the email the CQWW Contest Committee reported what they considered “strong evidences” to have the right to disqualified our station. Please remember: Evidences, NOT Proofs ! Technically speaking a proof means that if a station is connected through an IP Address to Internet, and from that IP address you can see spots with one or more different callsigns, than it means that the station self spotted and it is right to DQ that station. In our case the CQWW CC never wrote this (they could not write this because simply never happened). In our case “pirate calls” or “unique calls” (and not friends!) spotted our station and only our station. For the CQWW CC this is a strong evidence that we self spotted. The funny thing is that some “pirate stations” spotted us with the same callsign but from different countries using a VPN. I.E. JA1AAA spotted XX9TXN through an IP address in Japan, than JA1AAA spotted us through an IP address in USA and than through and IP address in DL. For the CQWW CC this is another evidence that we self spotted. Of course! It is like to say… “Hey CQWW CC, we are here, please DQ us because this is the easiest way to be discovered!” (LOL). And then The great truth: a couple of times the “pirate” spot arrived before the RBN. This is a very clear evidence that we self spotted (OMG). Pity that during a CQWW CW with thousand of CQing the RBN sometimes reports a call (if you do not have a strong signal like us) even 2 or 3 minutes after the first CQ. ALL these evidences (not proofs) are simply ridiculous! First of all XX9TXN was one of the rarest stations active during the CQWW CW. During the contest we have had a really great pile up all the time. There were hundreds of stations that spotted us. Did we need to self spot us for 6 or 7 times? Really? On CW exist the RBN. It is insane to use the self spotting. To conclude: we did not have any reason to self spot. We have had a huge pile up during the contest, we did not participate to win (we had a field day station) and personally I did not need points for the WRTC qualification because I was already qualified a couple of months before the CQWW. But now I would like to consider seriously what means “strong evidences” vs. “real proofs”. Reading again the CQWW Rules at point IX. GENERAL RULES FOR ALL ENTRANTS there are 10 points. Each point has exactly the same importance. If a station violate one of this point it is right that that station must be DQ! Now I would like to ask to the CQWW Contest Committee members a question: how many of you guys respect in FULL ALL TEN points? Because if you respect in FULL ALL ten points than you are eligible to be part of the CQWW Contest Committee and to DQ other stations that do not respect the rules. 1.Entrants must operate within the limits of their chosen category when performing any activity that could impact their submitted score. 2.Do not exceed the total output power limitation of the chosen entry category on any band. Total output power on any band at any time is measured at the output of the active amplifier(s). As I wrote in the beginning of this open letter, I have 30 years of experience in contest. In the past I met personally almost all of you and I know your stations (like almost everybody knows). When I see the photos of your stations or when I visited your stations, I noticed a lot of amplifiers like OM3500, OM4500, Alpha 77 (2x8877) or Henry 8K or homemade amplifier with a pair of GU78, 3CX3000 or a 4CX10000 or more. Dear CQWW CC member, is it in your opinion than there is a STRONG EVIDENCE that you are violating the rules? Of course, you can tell me that you use your amplifier at the maximum limit allowed in your chosen category. Even if it is extremely hard to believe, nobody has the real proof that you are cheating and violating the Points 1 and 3 of the GENERAL RULES FOR ALL ENTRANTS. I am not here to prove that you were violating the rules. This is not my job and I am not interested to do it! I am here to ask you to look at yourself in the mirror because you know what you were doing and how you did operate. I want to remind you that if you violated the points 1 and 3 of the General Rules, you cheated for 48 hours throughout the duration of the contest. You added hundreds of more QSOs in your log. Are you ready now to judge other people and to DQ their stations WITHOUT any real PROOF but only because YOU THINK that there is a strong evidence? I really hope that during this great Dayton Hamvention you can consider carefully and seriously what are the differences between an evidence and a real proof. You DQed XX9TXN without any real proof! Look inside your consciousness (and evaluate your past operations) and tell me if you are the right person to DQ us or other stations, without real proofs but just for evidences. Hi, Alberto. Nice article about CQ WW cheaters is here modxc.webnode.com . It is almost impossible for the CQWW CC to prove that a station is self spotting. It would be very easy to get a competitor DQed, just constantly spot them from an IP in the country they reside. DXSummit should implement authentication in order to send spots, this would solve a lot of these issues as opposed to allowing anyone to spot as any callsign. GUYS, WE LIVING IN ONE WORLD, WE HAVE ONE PLANET! This is just hobby, this is a game for love and joy! It is funny, when someone with great an strongly sounding name "CQ WW CC" IS PLAYING WORLD POLICEMAN and implementing the rules "under the umbrella" of a good will and order! CQ WW Contest loosing participants! OR THIS MAID BE THE IDEA? It's just a contest. It pays no money, no special prises, just a mention on a line on a page in a magazine. There has to be some form of regulation with rules and consequences. We are grown men, get over it, move on.